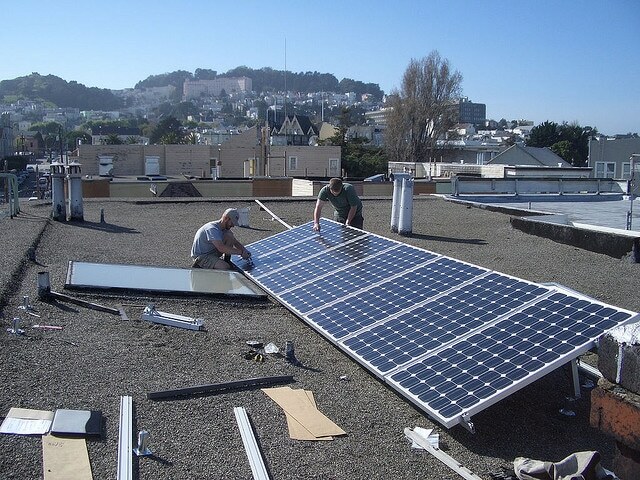 Renew Financial, a leading clean energy finance company, and SolarCity recently announced a partnership that creates a unique financing option for small and medium-sized businesses that combines low-cost SolarCity-structured financing with Renew’s PACE (Property Assessed Clean Energy) program through the CaliforniaFIRST program. CaliforniaFIRST provides affordable financing for efficiency upgrades — including drought-tolerant landscaping, energy efficiency improvements and solar energy installation — to more than 20 million Californians. Over the past year, Renew Financial has expanded the availability of CaliforniaFIRST to more than 70 percent of California’s population. Under this offering with SolarCity, a small business property owner signs a standard commercial solar lease that would be paid back on the property tax bill as part of the CaliforniaFIRST program. The new partnership makes solar leases available to thousands of small business owners who otherwise were challenged to secure competitive finance options. The program is expected to roll out beyond the California market in the near future. Solar projects for small and medium sized businesses have traditionally been very difficult to finance because these businesses do not have the formal investment grade credit ratings of large corporations, and also have no commercial equivalent to the FICO scores that are often the basis of consumer financing. Based on its analysis, SolarCity expects to make it possible for many to pay between 5 – 25 percent less for solar electricity than they pay for utility power with no upfront cost, depending on their own utility costs and usage. The service will also include fixed, flat solar payments for 20 years, so if the utility rates increase in the future, customers can save even more. More than 300 cities and counties across California have voted to join the CaliforniaFIRST program, including Los Angeles, San Francisco, San Diego, San Jose and Sacramento.